Another summer has come and gone at Baytree and what a summer it has been! Full of smiles, adventure, sun and the occasional downpour we had a wonderful 12 days of activities, with groups of up to 40 girls each day. 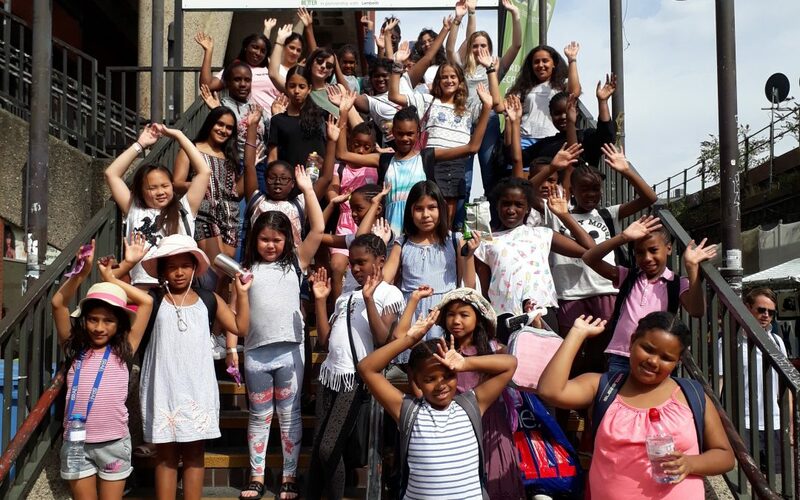 From searching for dinosaurs in Crystal Palace Park, to workshop considering the world on social media and feeding alpacas at Vauxhall City Farm, for many girls summer was a time to overcome challenges and learn brilliant new skills. They improved their swimming (and relaxing on the floating noodles), enhanced their photography skills and discovered how to care for dogs with the Battersea Dogs and Cats Home. It has been brilliant to watch the girls grow as individuals and as a group and a pleasure to watch them push themselves and each other to be outstanding young women. At Sports Day girls showed off an athletic prowess that would make Jessica Ennis-Hill proud and at Oasis Adventure Playground, the go-karting produced several impressive young drivers!! Our final trip to the Southend, while rainy was a fitting, if soggy end to a fantastic summer. We’re so grateful for a month of endless laughter and unforgettable memories and it would not have been possible without our funders, the YLC and Sir Walter St John and the brilliant efforts of our volunteers who provided workshops and encouragement throughout. We would like to thank them once again for all of their hard work and support.